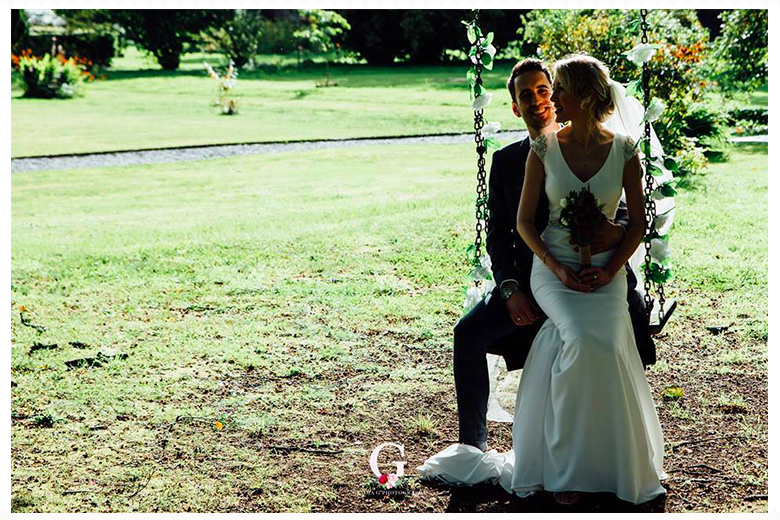 Ballyscullion Park is the perfect venue for couples looking for something different for their wedding. 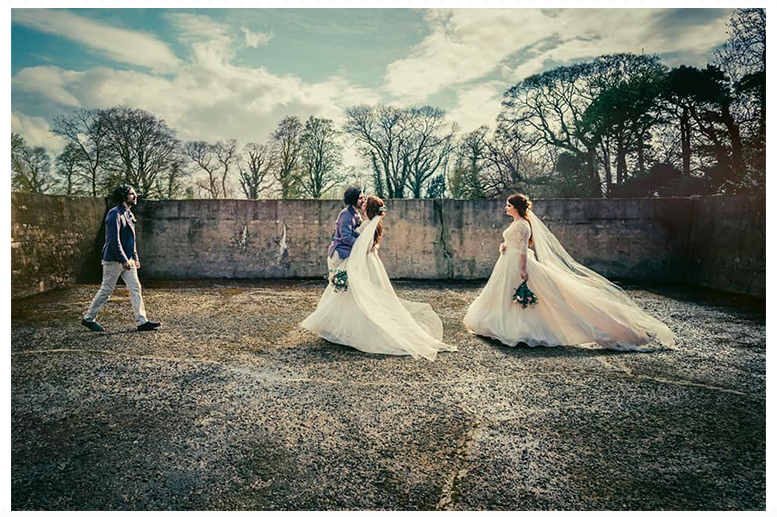 In the Courtyard of a private historic estate, the newly restored 18th century Coach House retains its Georgian charm, while inside, the Ringrose Room and Stables provide elegant, classical spaces in which you can create your own individual style. 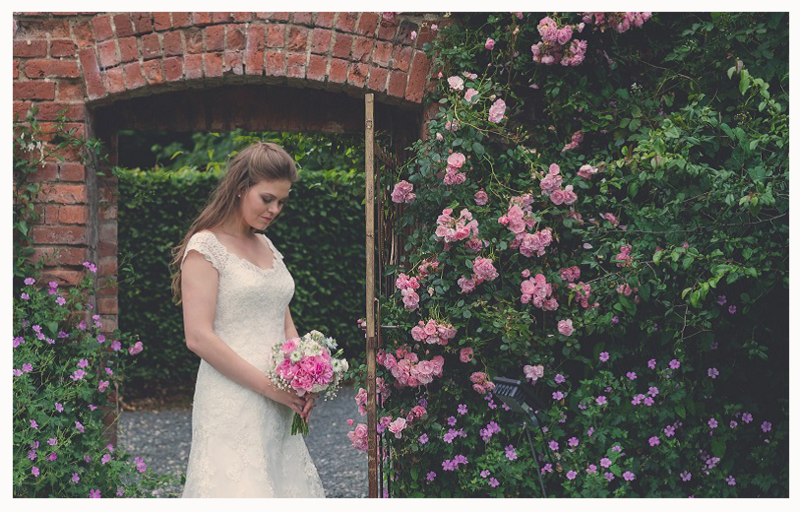 Both function rooms open through French doors into the Walled Garden, where three acres of lawns surrounded by red-brick walls festooned with roses are exclusively yours to enjoy for the day. 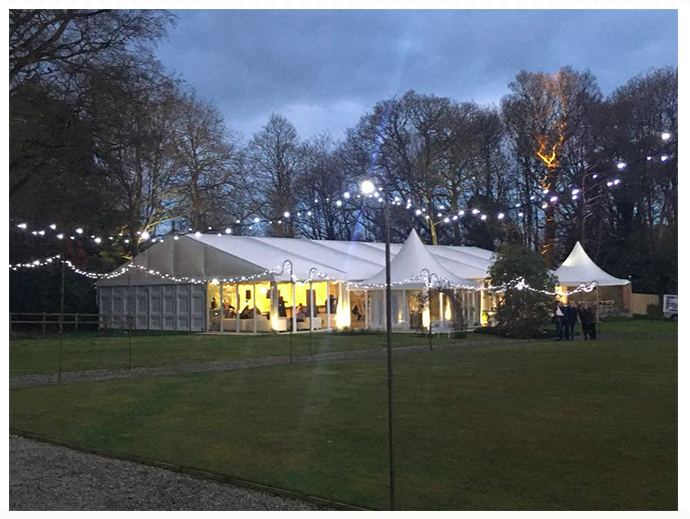 Our stunning new marquee in the Walled Garden seats up to 250. So much more than a conventional marquee, it has tall glass windows, stylish and luxurious decor, the marquee is designed to make the most of the garden setting, with a spacious paved terrace, ample outdoor seating, patio heaters and the blazing fire pit. Sit on the terrace sipping your drink and watching the sun go down behind the trees beyond the red brick garden wall, as the beautiful illuminations set the evening alight. There are endless locations for photography – summer houses, gates, swing and shrubberies. Fully bespoke tailored packages are available on request. Prices are based on numbers and venue requirements. Please contact us for a quote. Our wedding planning service is provided to you to assist with your special day, but that's not all. An event co-ordinator will be with you throughout your entire day to ensure everything goes perfectly. We take care of everything, so you and your guests can relax and enjoy the day. This means it is all yours for your day – no other couples treading on your heels. The venue is licensed for civil ceremonies and religious marriages. Arbutus Catering is provided with the inclusive package, with tea/coffee and shortbread on arrival / after the ceremony, 4 course dinner and an evening buffet. Award winning chef Barry Dallat and his team produce delicious food, freshly prepared using finest locally sourced ingredients. Choose from an extensive and exciting menu. Extras such as canapés, hog roast and additional courses may be added with a surcharge. 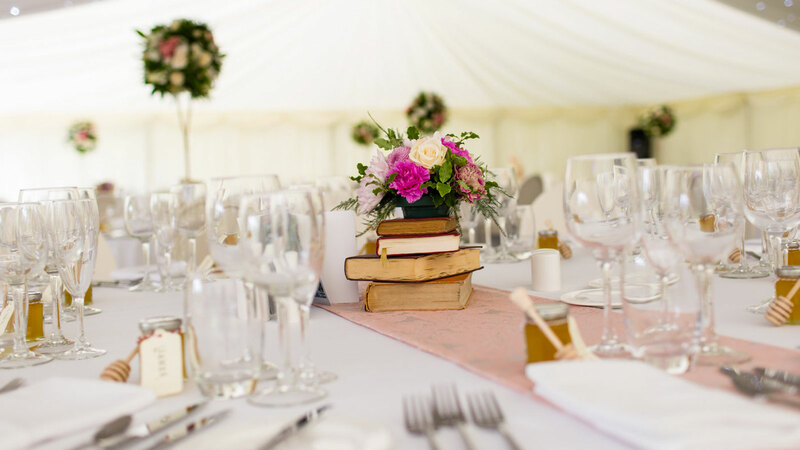 Arbutus Catering also provide a Front-of-House service, announcing dinner, speeches and everything required to keep the day running smoothly and on schedule. You may also use other approved caterers. Bar service provided for the evening celebration and an excellent wise list to complement dinner. You may also bring your own choice of wine and a corkage fee applies. Chiavari chairs, tables, tableware, table linen and glassware provided. The Ringrose Room has a bar and can seat 80 for dinner, and the venue takes up to 150 for the evening reception. The Stables are used for ceremonies for up to 100, and for dancing. French windows open into the Walled Garden from both rooms. Tastefully restored in soft jasmine white, these beautiful rooms provide a neutral canvas for you to decorate as you wish. You can do this yourselves or use one of our recommended wedding stylists. For marquee weddings, wedding photos, marriage ceremony, drinks reception, playing games and any other activity you fancy. Within reason! The garden has a very large lawn, masses of flower borders, rose-beds, swing, pagoda and garden seating. The Strawberry Garden is a secret space surrounded by beech hedges, where you can have you ceremony in the open air, accompanied by birdsong. For indoor and outdoor ceremonies. A fee of £300 is required for Civil and Religious ceremonies. For live and recorded music performances. We work closely with you from the outset, help you with your choices of suppliers, and co-ordinate them all so you don’t have to worry about a thing. We are there throughout the day, keeping things running smoothly so that you can relax and enjoy your day. Accommodation for up to 30 people in 6 self-catering Courtyard Cottages at £240 per cottage per night. They may be booked for the night before and night of the wedding, subject to availability. There is ample space for parking and cars may be left overnight and collected the next day, before 11am. We have a list of suppliers who are reliable, good value and of a high standard. 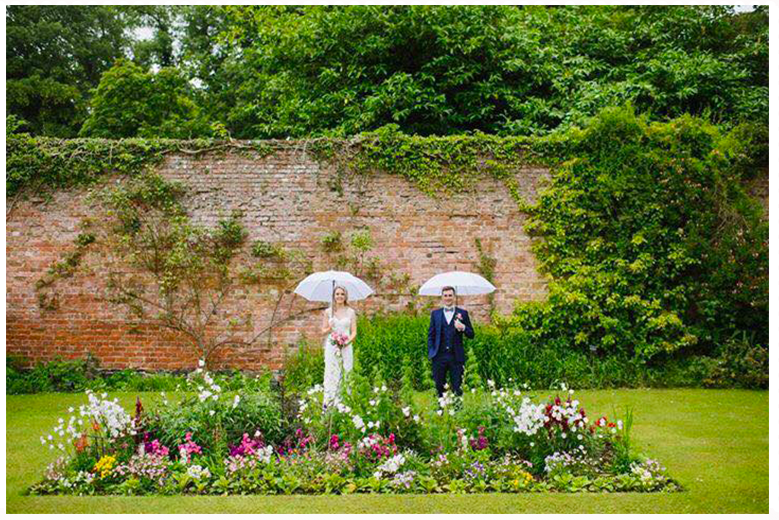 We have worked with many musicians, photographers, venue decorators and other wedding suppliers and can recommend the best.